I’m Talking at the Barren Hill Tavern & Brewery — Tomorrow! I feel like it’s been events and announcements and self-promotion all around for the past few weeks, and that I’ve been short changing you all on substantial writing about food. That will change very soon. Promise. But in the meantime, if you’re in the Philadelphia area, come out and hear me speak tomorrow night at the Barren Hill Tavern and Brewery in Lafayette Hill — on Germantown pike, not too far from Chestnut Hill. I’ll be reprising the talk that I gave at Science on Tap in April — “Culturing Food: History, Health and Fermentation.” But it will be a new audience, with new questions, and (I hope) some slightly spiffed up visuals. 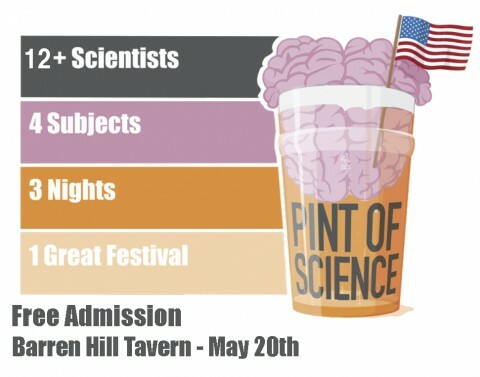 At any rate, it’s part of an event called Pint of Science — a multi-city, International, three day mini-festival that happens in a bunch of cities. The people who run the Philadelphia chapter are super sharp. The other speakers sound fascinating. And did I mention that there is also going to be beer? Here’s the relevant information: the Barren Hill Tavern & Brewery is at 646 Germantown Pike; the event goes from 6:00 pm to 8:00 pm; mine is the second talk of the night. And though they seem to want you to RSVP here using Eventbrite, registration is in fact free. Come on out, have a beer, and have a good time. And if you do make it, say hello. I want to meet you!